NUDURA Building Technology can be utilized in virtually any building design. Homes, apartments, commercial buildings, churches or schools all fit the criteria for ICF buildings. It is an ideal product when insulation value, building strength, sound and comfort are desired features. The forms acting as the stay in place concrete forming system. The plastic webbing in the wall system has a second role as the studding for drywall and siding. No need for extra studding or insulation. The Expanded Poly Styrene acts as the insulation for the building, which reduces energy requirements for heating and cooling systems. 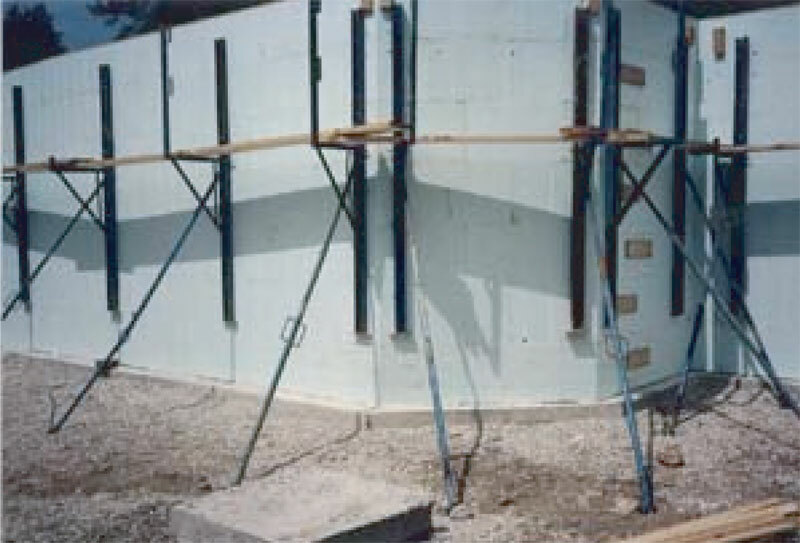 The total system acts as the vapor barrier for the building. Exterior walls can be finishes with all types of normal finish such as brick, stone, stucco or siding. Normal interior finishes are drywall or stucco applied directly to the built-in studding. When combined with in-floor heating there are potential energy savings of up to 70% compared to conventional stick framed homes. This will quickly pay back the slightly higher cost involved in a full home construction utilizing NUDURA. As added benefits IsoMatrixx can supply the NUDURA insulated floor and ceiling technology systems which accentuate the insulation value of the ICF wall system. Type 1 & 2 EPS, Tongue and Groove panels in varying thickness can provide extremely high insulation value for you home or building. With energy costs continuing to climb, isn't now the time to start reversing the trend of paying more and more for energy? At the same time you become an environmental supporter by reducing the amounts of trees being cut down for building and also help to reduce the amount of fossil fuels required to create the high amounts of energy being utilized to heat and cool homes. The NUDURA Executive with over 30 years of ICF building experience is continually looking for ways to improve the technology or add to it to further reduce costs in the ICF industry. Thanks to NUDURA the repeated price increases in the industry have been halted and reversed to a tune of a 25% reduction in the cost of ICF in Ontario. Look for them to continue to find ways to make ICF the only way to build a home now and in the future. New brick ledge block to combine with brick ledge attachment. Tongue and groove insulation for floors.